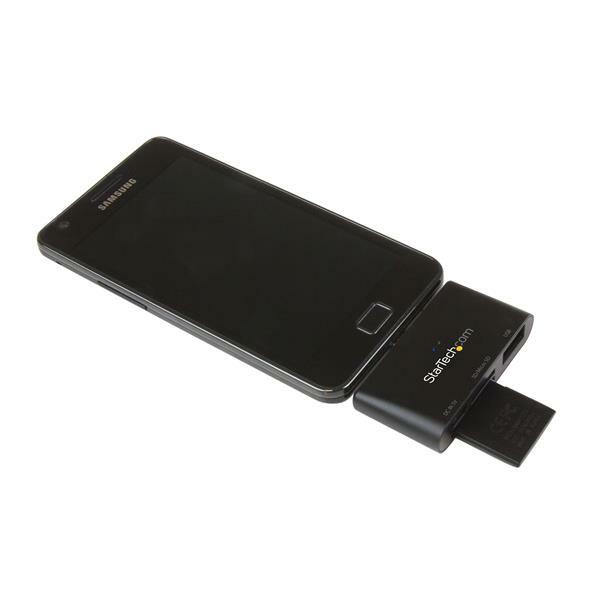 This OTG card reader lets you quickly mount SD™ and MicroSD™ cards to your OTG-enabled tablet or smartphone. 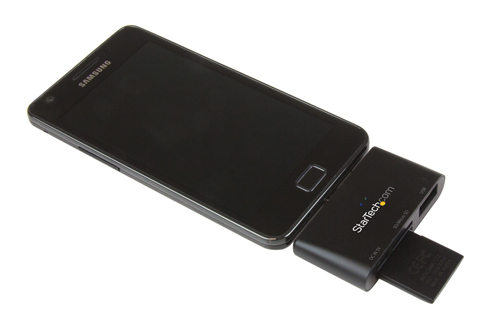 The card reader is compatible with any OTG-enabled mobile device such as the Samsung Galaxy™, Sony Xperia™, HTC® mobile devices and other Micro USB-equipped tablets and smartphones. 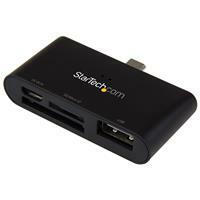 The OTG card reader features a sleek design that mounts directly to the Micro USB port on your smartphone or tablet. 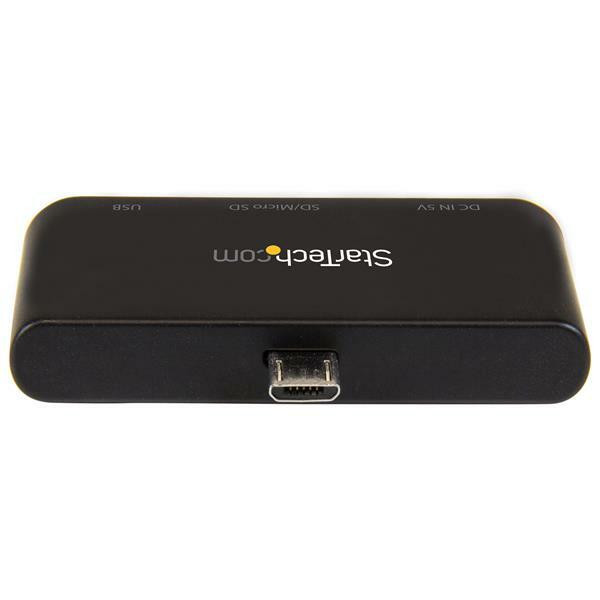 This design has no dongle or cable, ensuring the attached card reader won't drag or hinder the way you operate your mobile device in any way. 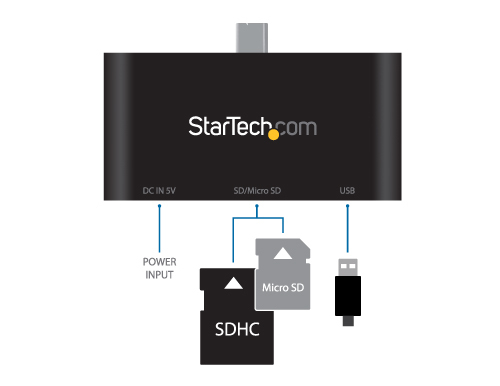 With this lightweight and compact design, you'll barely notice the card reader is even attached. 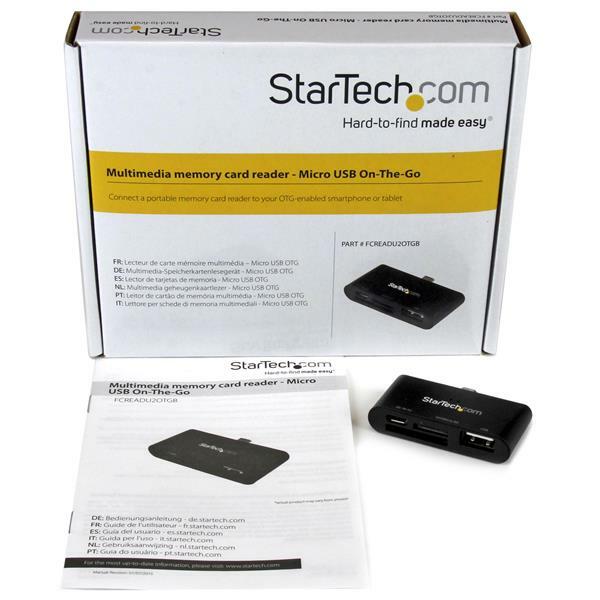 The addition of a card reader to a tablet is a great way for on-the-go photographers to review photos taken on their digital camera using a larger, higher resolution screen. 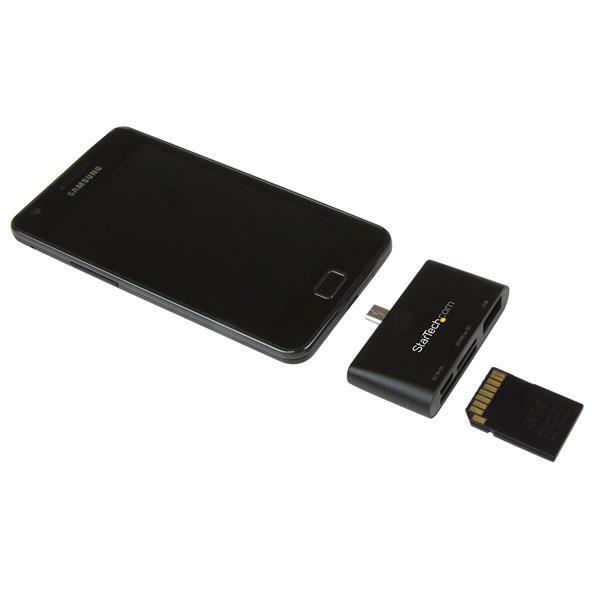 The card reader lets you connect your Micro SD and standard SD memory card to your OTG-enabled mobile device, opening up a whole new level of expansion possibilities for your mobile world. 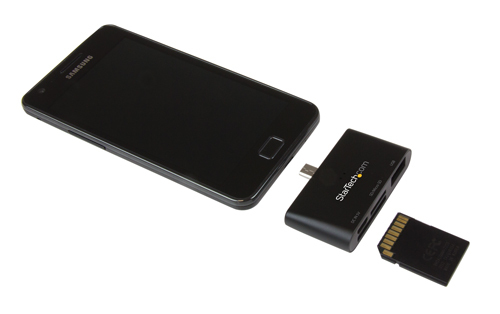 With the OTG card reader, you won't need to rely on your low-end cell phone camera to share videos and pictures on social media -- shoot video or photos with your high-end digital camera, swap the memory card into your smartphone and instantly upload your photos or video to Facebook, Twitter or Instagram. 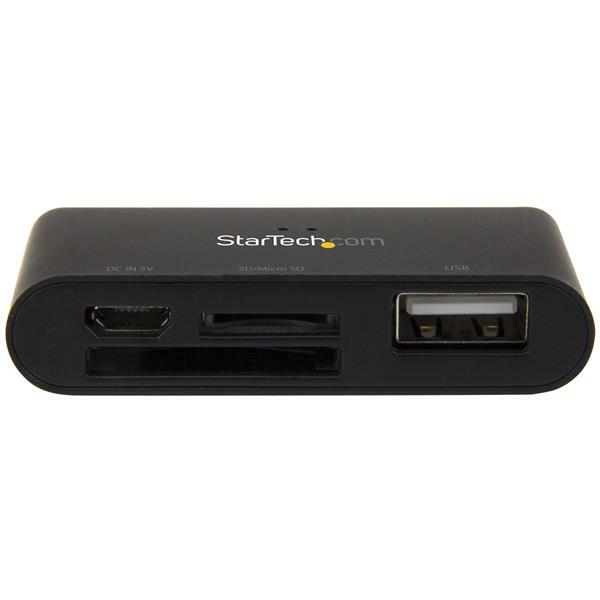 The card reader also features a fully functional USB 2.0 port that enables you to connect USB devices such as USB flash drives or keyboards to your OTG-enabled mobile device. Simply connect a USB power source to the power port on the card reader and connect your device to the USB port. 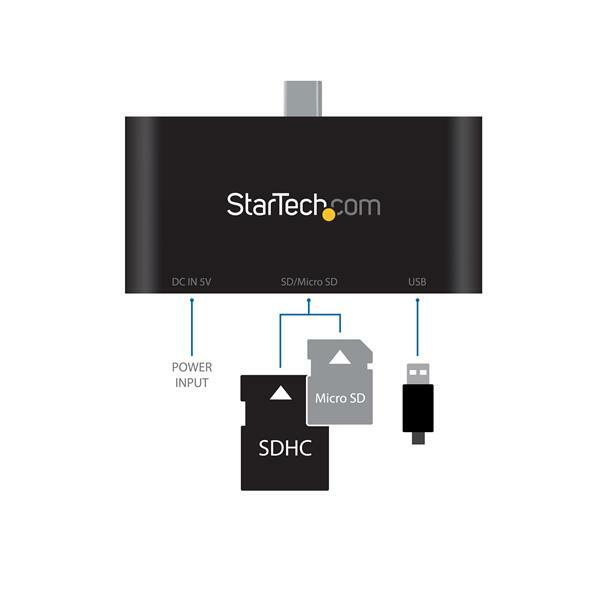 The FCREADU2OTGB is backed by a StarTech.com 2-year warranty and free lifetime technical support.